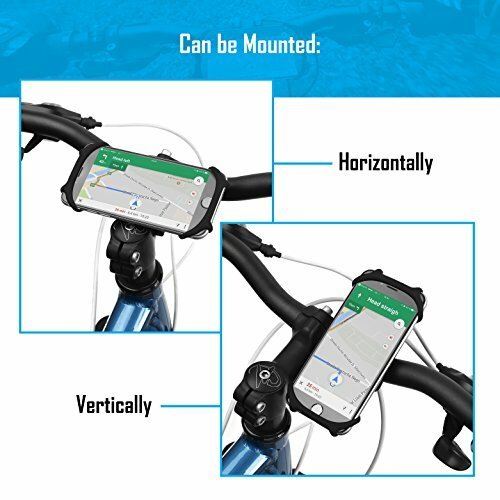 THE ONLY 2 SIZE SILICONE BICYCLE PHONE MOUNT ON AMAZON. 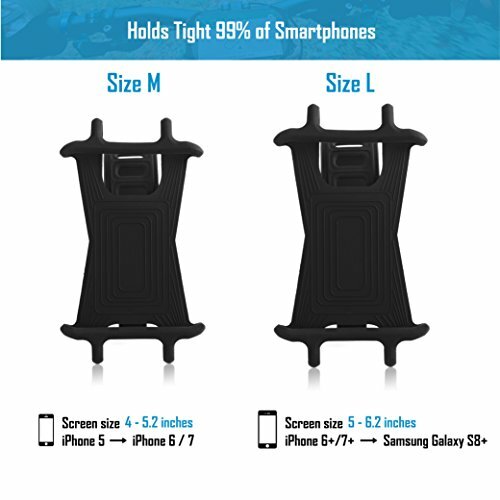 Unlike others, we designed 2 models tailored to fit 99% of modern smart phones. The silicone bands only fix the edges of your smartphone leaving the screen free so you can easily scroll tap and navigate your apps. SIZE L - BEST for screen sizes between 5 to 6.2 inches. 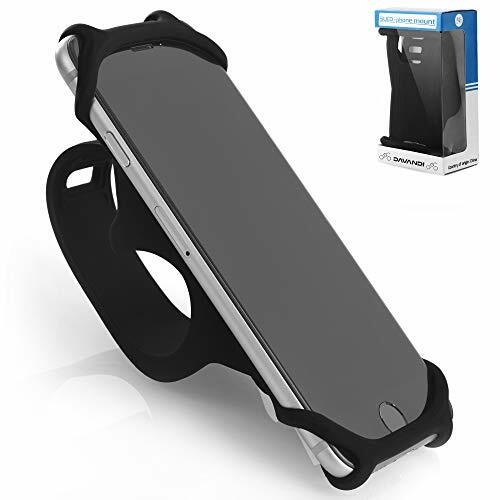 Fits on: iPhone X, 8Plus, 7Plus, 6Plus, 6S Plus >>> Samsung Galaxy S9, S8+, S8, S7 Edge, J7, Note >>> Google Pixel, 2, XL >>> Huawei P10 Pro, P10, P9, P9 Lite, Matte 10, 10 Pro, Matte 9, Nexus 6P >>> LG V30, V20, G6, G5, G4, Stylus, Stylo >>> Motorola Moto, X, Z Force >>> HTC U11 SIZE M - BEST for Android and Apple cell phones with screen sizes between 4 to 5.2 inches. Fits on: i Phone 8, 7, 6, 6S, 5, 5S, 5SE, 5C, 4S >>> Samsung Galaxy S7, S6, S5, J5, J3, A5 >>> Google Pixel 1, Pixel 2 >>> Motorola Droid Turbo. Can be mounted Vertically on the handle bar or Horizontally in the center (on the stem). EASY ON / QUICK RELEASE - Attaches and detaches in seconds exactly as a watch band. 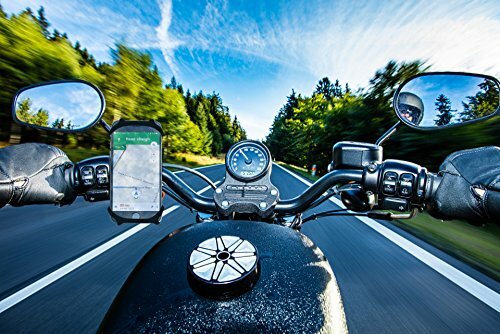 Easily mount it on the handlebar or the stem and have your phone with you everywhere. Can be used outdoors or indoors: on a mountain, road, street bike, scooter or motorcycle but also on stationary, exercise, spin bike. Perfect fit even for trainer, stroller, wheelchair or shopping cart! LIFETIME MANUFACTURER WARRANTY - This is the only phone holder for bike you will ever need. We truly believe You Won't Find a Better One Out There. Your purchase is also covered by our IRONCLAD GUARANTEE! Add To Cart Now to seize our 2018 OFFER completely risk-free!